Thank you to everyone who participated in the live chat with David-Dorian Ross on Wednesday, July 29, 2015. Professor Ross truly enjoyed the chance to connect with his fans and students. In case you didn’t get a chance to participate, we’ve posted the live chat for anyone to read. Thanks again! Welcome and thank you all for joining us today as we discuss Tai Chi and Qigong with our esteemed guest, Professor David-Dorian Ross, International Master Tai Chi Instructor. You may begin sending your questions to Professor Ross by clicking on the Submit a Question button. Welcome everyone! It is such an honor to be here with the launch of the Professor Chat program. Tai Chi, Qigong and mindfulness practices have been a part of my life for more than 35 years and have given me health, great relationships and a compass for navigating the aging process. I am delighted to be able to share what I've learned with all of you. Thank you for teaming up with Great Courses. I am just beginning to watch the course. I enjoy that you start in a simple manner without a lot of complex movements. Dear Max: I am so happy that you found the Essentials program, and that it has helped strengthen your back! I am so sorry to hear that a young man your age has had an accident like this. Of course the first thing I would always say is work with your physician to make sure any program is appropriate - but I'm going to assume that have already done that. To help build up Qi - remember to "work softer, not harder." The principles of Tai Chi are clear - wherever there is tension (which often happens when we work hard) the Qi cannot flow. I would also invite you to take classes with me - and I would be delighted to help you progress through Tai Chi. I have been practicing qigong for about a year and a half. I feel the energy in my hands but cannot feel the energy movement up the spine or down the front. I have been using the Lee Holden Medical Qigong videos which are good. Can your videos help me to continue and to advance the energy movement in my body? Ray P.
What stimulated your interest in Tai Chi? Are you planning a part 2 of the course. Has the concept of chi been scientifically proven? Minor question, David-Dorian, but is the salute on your course "Ching an, ching ping heng" in pinyan? I am not progressing very well. While I like the educational aspect of your lectures, I don't want to go through them every time I want to practice. Any suggestions? This is a great DVD on Tai Chi. Is the short form adequate to get the health benefits of Tai Chi or should one carry on to learn the long form. I always thought one should work out or train for 20 minutes at one time, or is more shorter training sessions with the short form as good. Your comment on modifications with movements like Heel Kick Right/Left and Lower Movement & Rooster Stands on One Leg. How high does one need to kick and/or how low does one need to go? Just wanted to say thanks for the course. I practice everyday. Is Chi the same as zero point energy or scalar energy? We’ve received a number of great submissions. Thanks for your patience as Professor Ross answers your questions as quickly as possible. What is a good age to start teaching children the art of tai chi? My boys and I currently do yoga together. I usually do tai chi before bed after they are sleeping. Any suggestions about how to select a Tai Chi style that works best? Sorry if this question keeps repeating LOL! 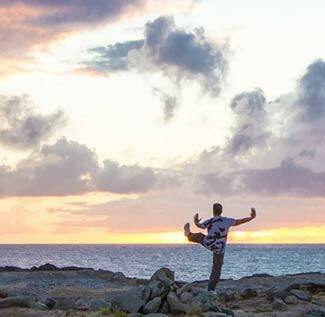 Is it ok to do Tai Chi and Qigong on the same day? Does it matter which I do first? I love the Great Courses! I have really enjoyed your course. I am interested in the music you chose for the course. It is different than that I normally hear with Tai Chi, and it works well for me. I am interested in why you chose that and how you choose music for your student. What about those of us who teach Taiji Qigong? What is important for us to keep in mind as we share this practice with beginners? Does Tai Chi have any emotional release effect like in Forest Yoga? I really enjoyed Professor Ross's course. I was hoping he could give me some advice: I broke my hip in a car accident when I was very young. Most of Tai Chi requires a good bit of pressure on the hips, but I was wondering if Professor Ross could suggest some principles a person could implement to make it easier on the hips? Thank you very much. I thought you were a quantum physicist. LOL. As you know I've been learning tai chi ball qigong and I use 1 ball. But I've seen you using two - I haven't finished reading the YMAA book yet and of course I'm waiting for yours to come out but is there a fundamental difference between 2 versus 1 ball? Due to the volume of questions, we will be extending the chat for another 30 minutes. Mr.Ross, I just wanted to thank you for creating this course! I recently received my copy and am eager to start the dvd(s), but have been reading over the full transcipt first. (Book worm that I am... and the included bibliography!!!! I feel I must swoon, gracefully of course) . Also hope for a part two/follow up course. Will there be a way to follow your progress with the study you're currently involved in? This format is new to me. Will Great courses be sending an e-mail with the number of participants and feedback? Thank you for your course. I have been learning the short form since Jan and have eliminated the arthritis pain in my hip. However, I still have a great deal of difficulty quieting my mind to sleep at night. Do you have any suggestions? I am so happy that you released this course. I recently purchased this and have watched it the past two days. After completing the first exercise, the Door and Parting the Wild Horses Mane, I was surprised that I was more relaxed. It was enjoyable. Can this help with hand stiffness---I have plates in both wrists. Thanks, again, for this course and the opportunity of this live event. I have a right rotator cuff problem. It is not torn but limits my range of motion. An orthopedic physician has given me a steroid shot in the past but it didn't work on a more recent visit. Any ideas? I have recently purchased your Great Courses lectures on Tai Chi and Qigong. 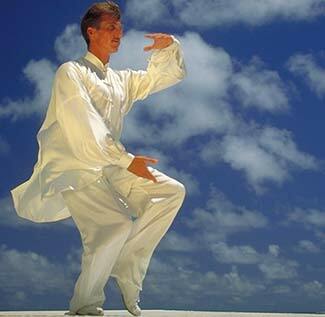 Is it necessary to have live instructor in addition to your lectures in order to learn Tai Chi and Qigong? What's a great followup to Yang 24. The web lists a "more symmetric" Yang 42 maybe. I like the forms, as well as the daily qigong. Is there any particular music or soundtracks that are well-paced for accompanying the practice of TaiChi? Meditation bowls, nature sounds, etc? Professor Ross, thank you for the great course! You mentioned that you had difficulties with sitting meditations and tried Tai Chi instead. Do you think it can be a replacement for sitting meditation or just makes learning it easier? am a beginner and interested, have gotten course. Have you advice to share on when breath goes in and when out with movements. Also any advice on placing one's attention(mind) which can wander. Thx. 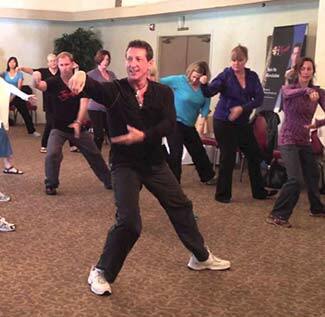 Professor Ross' course, Essentials of Tai Chi and Qigong, is on sale now. Visit the course page to learn more. What advice would offer to those whose mobility is significantly compromised (e.g. degenerative arthritis, parkinson's disease, etc.)? Good evening Professor, I am enjoying your Tai Chi and Qigong course. I Hope you can answer some of my questions. 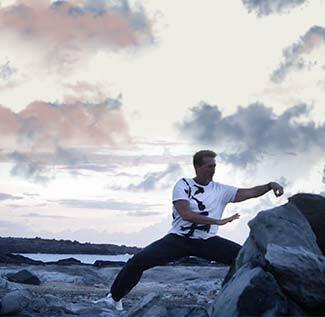 Is Qigong common to all martial arts? Can it be developed outside of Tai Chi? In the same line as the other commentator, I would appreciate if you could point to more resources/videos for further Qigong practice. Thank you. Thank you so much for joining us this evening. A special thank you to Professor Ross for taking the time tonight, and providing us with such insightful answers to your questions. For those who participated in today's giveaway on Twitter, we'll be notifying winners tomorrow morning. We hope you will join us for future chats with our Great Courses instructors. I'd like to thank everyone for all these great questions! I would love to continue with you - so I want to invite you to take a class with me. I teach a class online daily from my website at daviddorianross.com. You can also see these sessions live using the Meerkat app. These classes are free - just my way of giving back to my world and saying Thank You for all your generosity and support.